The BOM is still under fire with further revelations of "homogenisation" of historical temperature records magically turning cooling into warming . This time it is Bourke in the spotlight where long time records exist and differ markedly from the "high quality" BOM record. Graham Lloyd of the Australian has the story of Bourke where long-term handwritten records are at the center of a new controversy. These Bourke records have ­assumed a new significance in light of concerns about how historic data is being treated at many sites around the country. The records are also important in an ongoing row that frustrates Mr Cole. The Bourke cotton farmer may be managing director of the local radio station 2WEB but Mr Cole can only broadcast temperature records that date back to 2000 because the Bureau of Meteorology won’t supply historic records to service provider Weatherzone. BOM has rejected any suggestion that it has tampered inappropriately with the numbers. It says the major adjustment to Bourke temperatures relate to “site moves in 1994, 1999 and 1938 as well as 1950s in homogeneities that were detected by neighbour comparison which, based on station photos before and after, may relate to changes in vegetation around the site”. 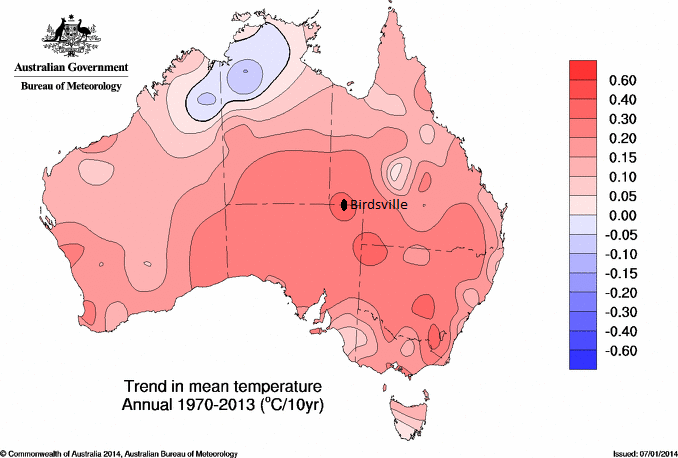 Queensland researcher Jennifer Marohasy, who has analysed the Bourke records, says BOM’s analysis is all very well but the largest adjustments, both to maximum temperature series, ­occurred in the period 1911 and 1915 with a stepdown of about 0.7C, followed by a step-up between 1951 and 1953 of about 0.45C. Of greater concern to Dr Marohasy is that historic high temperatures, such as the record 51.7C recorded on January 3, 1909, were removed from the record on the assumption it was a clerical error. In fact, all the data for Bourke for 40 years before 1910 has been discarded from the official record. If it were there, says Dr Marohasy, the record would show that temperatures were particularly hot during that period. Professor David Karoly has attacked those who question dodgy temperature data as "poorly informed" when the only information the skeptics are using is BOM data. If he means that the BOM data is poor information then we must agree with him. Karoly says that criticism of the data should be sent off to anonymous peer review as if that would fix it. Karoly's blathering did not address the BOM tampering at all and a roomful of climate Phd's are not needed to see what would be obvious to any first year engineering student . Following a story broken by real scientist Jennifer Marohasy on huge temperature "adjustments" at Rutherglen and Amberley the BOM made a pathetic attempt to justify the tampering at Rutherford saying the thermometer had moved and it was necessary to massively cool last century readings. However retired scientist Bill Johnson has told Graham Lloyd of the Australian that the meter has not moved and shows that the region cooled slightly over a 100 year period. THE official catalogue of ­weather stations contradicts the Bureau of Meteorology’s explanation that the relocation of the thermo­meter in the Victorian winegrowing district of Rutherglen has turned a cooling into a warming trend. Analysis of the 100-year ­record at the station shows a cooling of 0.35C in the raw data had become a 1.73C warming after “homogenisation” by BOM. 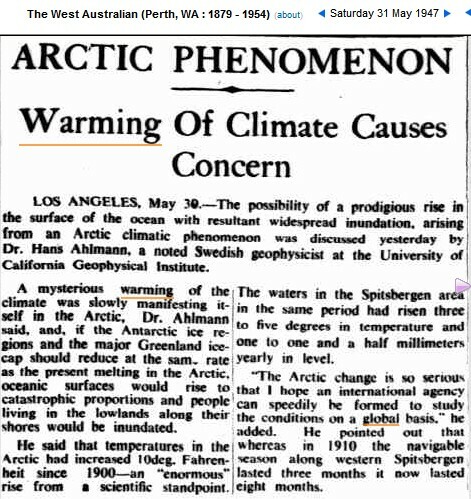 A review of the data by independent scientist Jennifer Marohasy shows the warming trend had been achieved by progressively dropping temperatures from 1973 back to 1913. 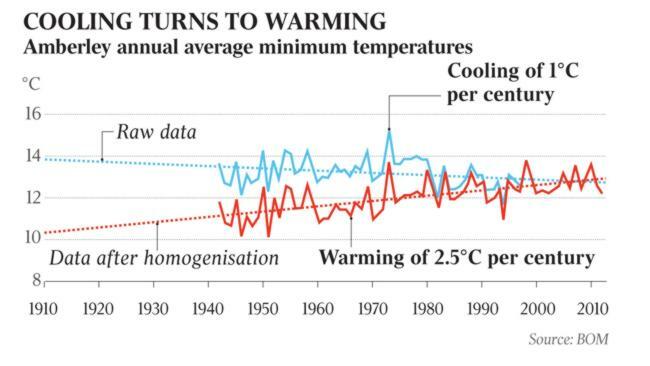 For 1913 the difference ­between the raw temperature and the BOM homogenised figure was 1.8C. BOM said the discrepancy in the data was consistent with the thermometer site moving from a farm building on a small hill outside the town to its current ­location on low-lying flat ground. Minimum temperatures are normally higher on slopes than on flat ground or in valleys. However, the official catalogue of all stations used to make up the national temperature record says the Rutherglen thermometer is an automatic weather station in the grounds of a research farm, 7km southeast of Rutherglen. Not only has the station not moved since being ­established in 1913, it’s “well outside the town area, on flat ground over grass but with low hills a few hundred metres to the north”. “There have been no documented site moves during the site’s history,” it says. BOM has so far been unable to explain that discrepancy. The bureau says its homogenisation of temperature records is used by other weather agencies and has been “peer reviewed”. Homogenisation is used to remove anomalies from complex data sets. Defenders of the bureau have called critics “amateurs”. Dr Marohasy says BOM is acting without supporting metadata in a way “that the temperature record is completely altered, despite the ­absence of evidence of any changes in siting, equipment or any other factor that could conceivably introduce a non-­climatic ­discontinuity”. 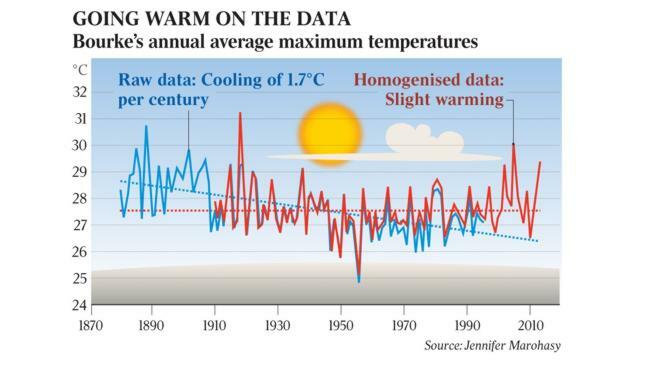 The Bureau of Meteorology in Australia is just as adept as it's US counterparts in fudging data to create man-made warming to support their failed theory as reported in an interview with researcher Jennifer Marohasy in the Australian. Jennifer shows how a high quality station at Amberley Queensland has it's record changed from cooling to warming with homogenisation "correction". 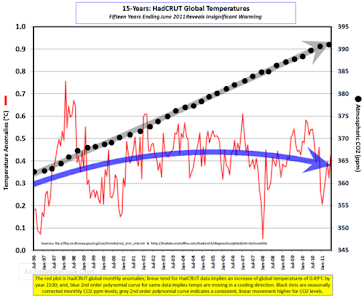 Local blogger Ken of Ken's Kingdom has made a detailed study of "corrections" to the Australian temperature record showing that much of the claimed warming is due to homogenization which seems to be a euphemism for fudging . Ken has plotted adjustments vs CO2 level for the "high quality" Acorn network of stations and finds a remarkable correlation. 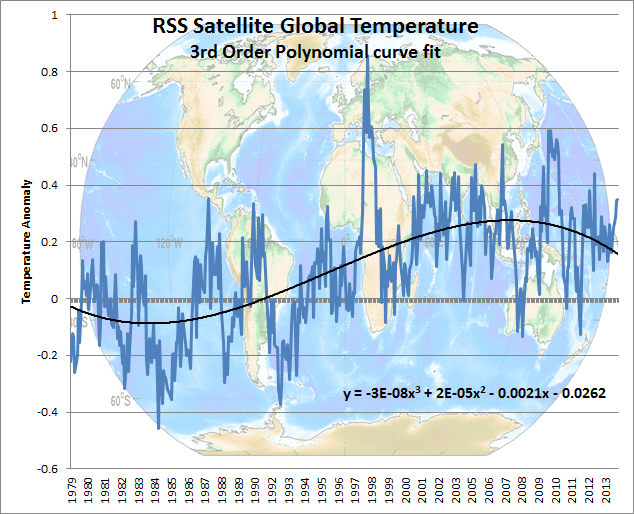 However the Aussie climate "scientists" are at the kindergarten level in fudging compared to their US counterparts who take the grand prize in dodgy data according to Steven Goddard. The takeover of journalism by the left is starkly shown by a complaint currently being adjudicated by the Press Council headed by Julian Disney which is likely to be upheld. . The complaint revolves around an article in the Australian by their food writer John Lethlean which expressed his approval of kangaroo meat without expressing the views of those opposing it. Bear in mind that kangaroo meat is available at the local supermarket and culling of kangaroos out west is a pastoral necessity. That's the nuts and bolts of it. The reality, regardless of your perspective, is confronting. I grew up in the country; shooting animals - yes, kangaroos, occasionally - on farms was part of those adolescent years. I am an advocate for eating kangaroo for a host of reasons, not the least being that it's wild. And wild food is increasingly a luxury for those of us who like to eat well and naturally. The Australian’s food writer, John Lethlean, has been living with the kangaroo case ever since he wrote about his passionate belief that “wild” food such as kangaroo meat should be more widely consumed in Australia. When it comes to food, Lethlean writes with authority. He spent 15 years as chief food critic for The Age and was founding editor of The Age Good Food Guide. Food writers, like all critics, normally have wide latitude to express opinion, such as in the case of drama and art critics. But in this case the Press Council opened the door on whether that freedom of opinion should be qualified. Enter the Australian Society of Kangaroos. By February, this organisation — which was not mentioned in Lethlean’s article — had persuaded the Press Council to launch its complaint-handling procedures. The Press Council’s complaint note served on this newspaper lists four of the society’s grievances. But one goes to the heart of things. Was Lethlean wrong to express his opinion? Should he, as asserted by the ASK, have included contrary views from those such as ... the ASK? Were that argument to succeed, it could transform the way newspapers handle opinion by requiring the inclusion of contrary views. The complaint note was structured in a way that ensured this case became a forum for debate on issues that matter to the ASK. How many kangaroos does Australia really have? Is it between 35 million and 50 million — as asserted by Lethlean? Or is it really just 35 million — as asserted by the ASK? The Left want opposing views aired on all their pet subjects but not global warming! Warmists have a striking resemblance to religious zealots who say " God says it , I believe it and that settles it" .Those who disagree with the global warming catechism are described as stupid and scientifically ignorant heretics. The Yale research showing that skeptics were generally smarter scientifically confirms what skeptics already knew- that the Global Warming scam feeds on ignorance! Recall how climate alarmists always try to portray skeptics as ignorant, close-minded flat-earthers who lack sufficient education to understand even the basics of the science, and if it wasn’t for them, the world could start taking the necessary steps to rescue itself. Unfortunately for the warmists, the opposite is true. The warmists are the ones who are less educated scientifically. This is what a recent Yale University study shows. Hat tip: www.politik.ch. Professor Dan M. Kahan and his team surveyed 1540 US adults and determined that people with more education in natural sciences and mathematics tend to be more skeptical of AGW climate science. Of course this means that people will less education are more apt to be duped by it. After the Climate Commission was dumped by the current Australian Government Tim Flannery and his cronies crowd-sourced over 1 million dollars from true believers in Australia to further the Warmist cause . I understand that donations do not qualify for tax exemption on religious grounds although a very good case could be made for it. I think in general that climate skeptics are glad that Tim is battling on as he reliably scores own goals. Earlier today on morning radio, I challenged the PM's controversial top business advisor Maurice Newman to get his facts straight. 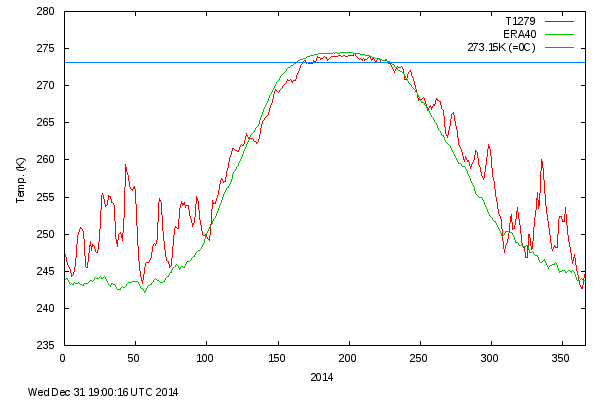 Yesterday Newman released a bizarre, inaccurate statement arguing the world is cooling. It’s time to hold Maurice Newman to account..
Poor old Tim knows all about bizarre when you consider all his dud predictions for Australia's climate which have caused great amusement to skeptics. Newman's " bizarre" statement however agrees with the 12 year global temperature record below making his claim factual and Flannery's assertion as usual is wrong. Tim is also on record for saying that coastal properties will be inundated by rising tides while purchasing properties on tidal estuaries for himself. 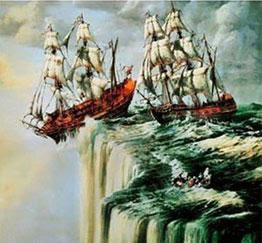 Global warming has ceased and the globe is now cooling and the alarmists are in a frenzy to keep the scare going. The compliant press blares each new excuse as a reason for the pause and claims it is business as usual in the climate catastrophe department. The cynics among us would wonder that if the science is "settled" why there are so many excuses for the pause and why they are all different . 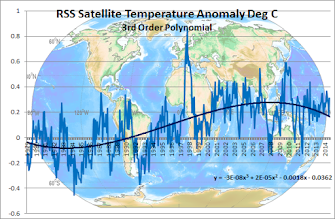 12) It's "not so unusual" and "no more than natural variability"
22) Temperature variations fall "roughly in the middle of the AR4 model results"